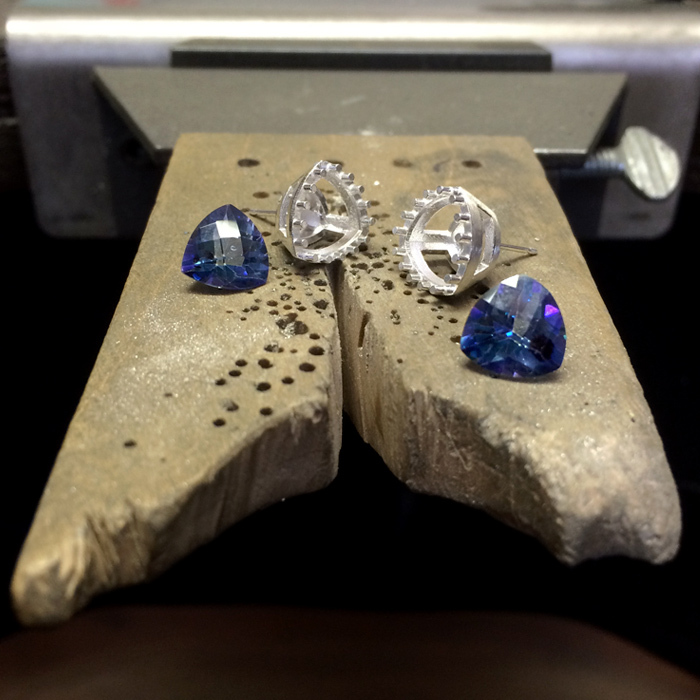 Originally commissioned as a pair of studs and later adapted to be drop earrings at the clients request. 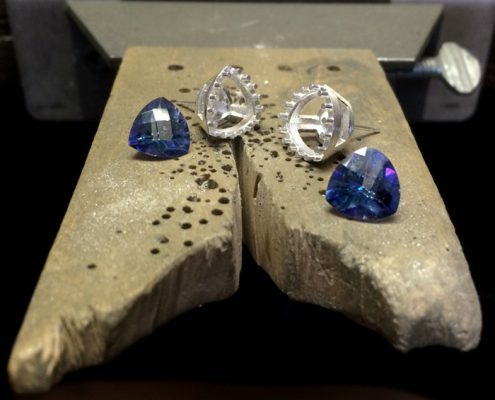 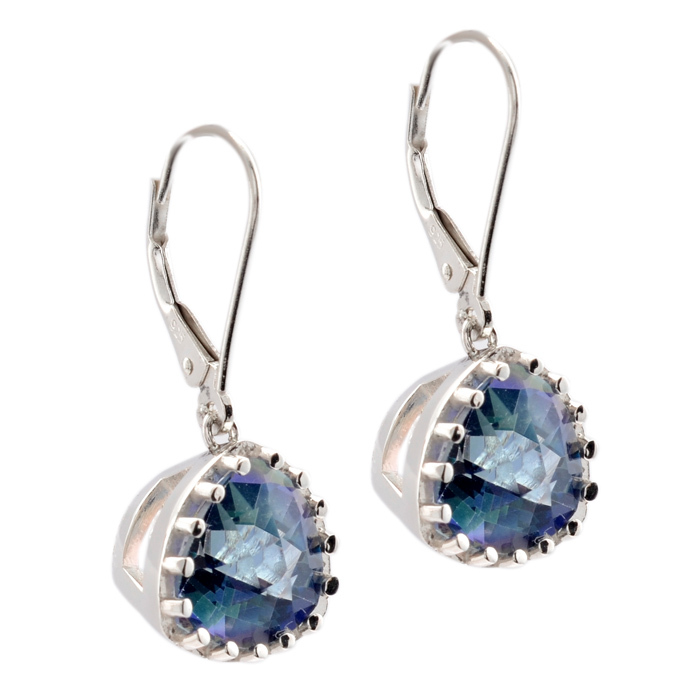 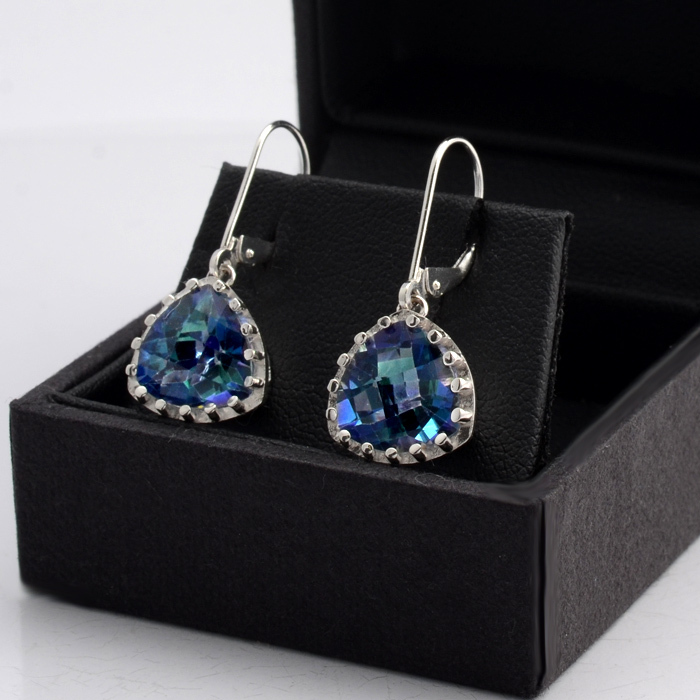 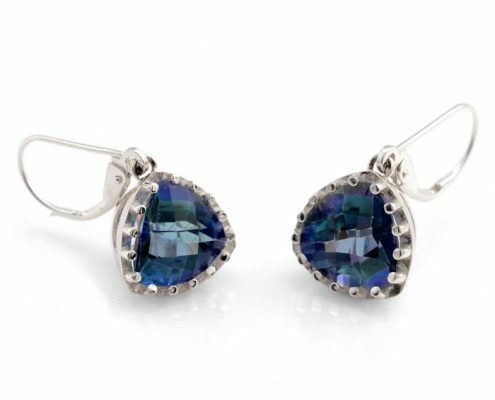 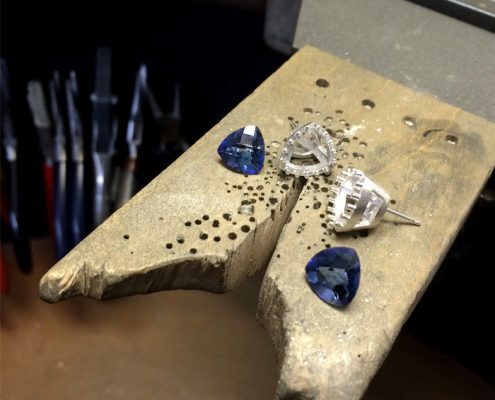 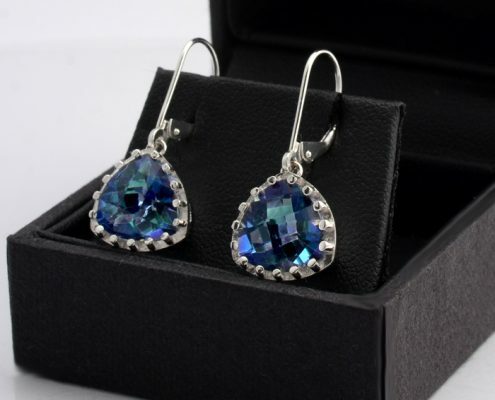 These beautiful earrings feature a pair of unusual curved triangular Mystic Blue Topaz. 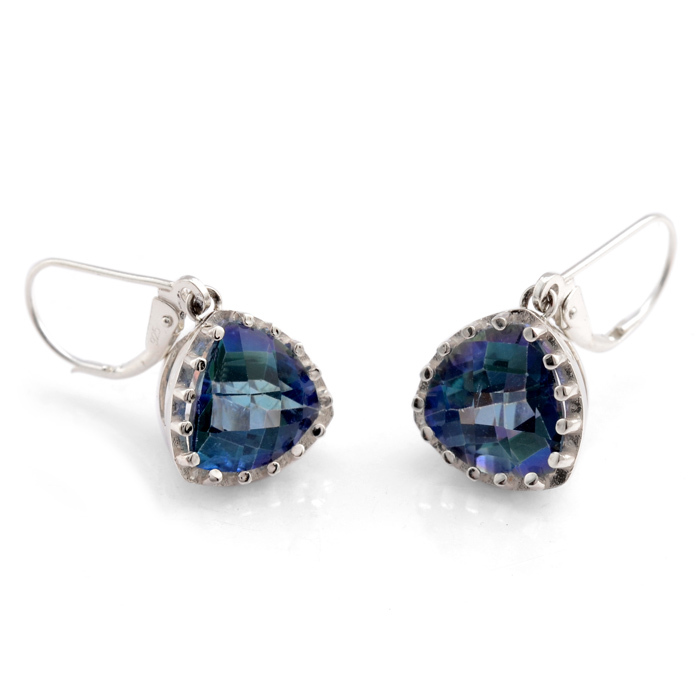 The stones themselves feature a checkerboard faceted domed top and a deep faceted curved pavilion. 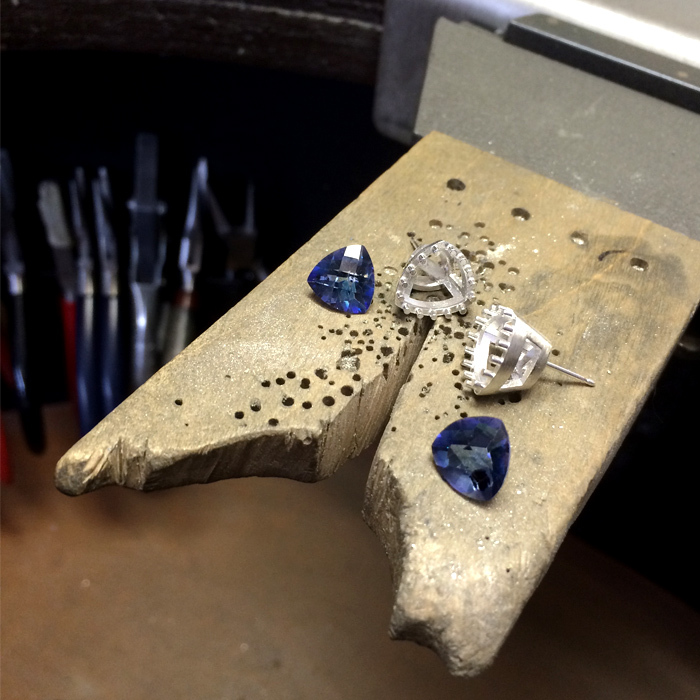 The stones are housed in a Sterling Silver design which feature windows on each face of the setting and an array of tiny claws which trap the stones in place. 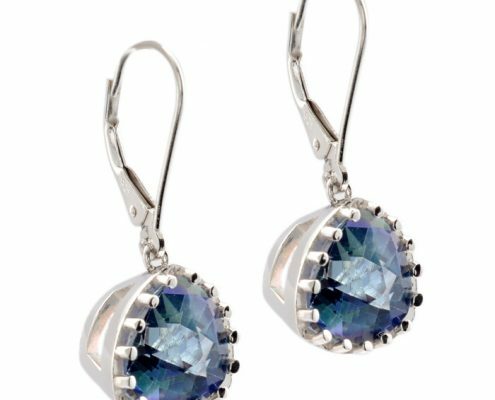 Suspended on Silver safety hook ear wires.